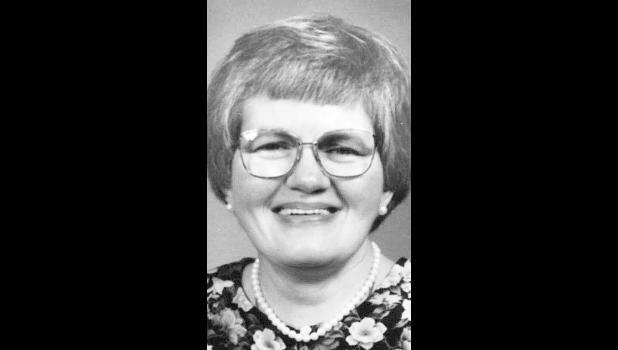 Ruth Mary Pace, 78, Holton, formerly of Valley Falls, died Wednesday, March 21, 2018, at Holton Community Hospital. She was born May 7, 1939, at Abilene, the daughter of Raymond Luther and Minnie Ruth Taylor Engle. She graduated from Enterprise High School in 1957, attended Sterling College for one year and graduated from Brown Mackie Business College in Salina. Mrs. Pace worked in the payroll department at the Topeka State Hospital and later was a homemaker. She was a member of Valley Falls United Methodist Church and the North Cedar Club. She married Harold W. Pace, Oct. 1, 1960, at Topeka. He survives. Other survivors include a son, Raymond W. Pace, Hiawatha; a daughter, Pat Davis, Holton; a stepbrother, Lloyd Wood; two stepsisters, Earlene and Darlene Gawith; five stepgrandchildren, and 13 stepgreat-grandchildren. She was preceded in death by a son, Harold W. Pace Jr.; and a stepbrother, Earl D. Wood Jr.
Funeral services will be held at 10:30 a.m. Monday, March 26 at Mercer Funeral Home in Valley Falls. Visitation will be held from 3 p.m. to 5 p.m. Sunday. Burial will follow in Valley Falls Cemetery. Memorial contributions may be made to Valley Falls United Methodist Church, sent in care of Mercer Funeral Home, P.O. Box 6, Valley Falls, KS 66088.